Top : High density, plastic laminated. Edges: Bullnosed - 1.6 cm (5/8") thick. Heights available from 56 cm to 76 cm (22"-30") in 2.54 cm (1") increments. 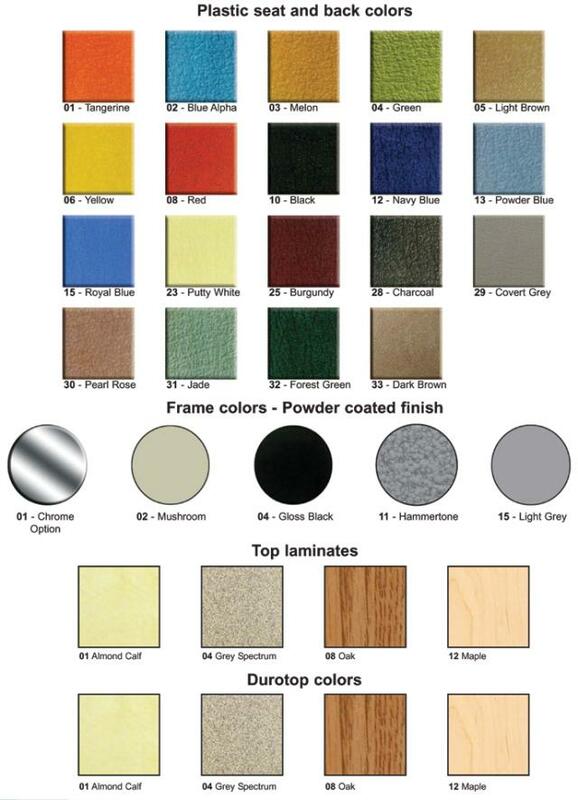 Please choose overall height and table top colour, as well as base colour. Reinforced corner bracket, 11 gauge. Legs: 3.18 cm (1-1/4") square tube, 16 gauge with two welded bolts to accept two .79 cm (5/16") nuts. Powder coated, Beige or Black. Bullnosed edges 1.6 cm (5/8") thick.